Industrial zones (IZs) in the Mekong Delta city of Can Tho have 220 projects in operation, with total registered investment capital of some 1.96 billion USD. The management board of the local export processing and industrial zones reported the figures, adding that the disbursed capital amounts to nearly 45 percent of the registered value, reaching 866.16 million USD. 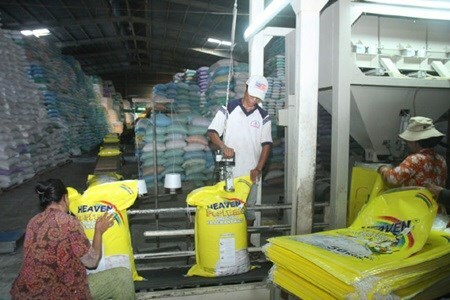 During the first eight months of this year, enterprises in Can Tho's IZs posted a combined industrial production value of 824.6 million USD and a total trade and service revenue of 209.7 million USD. The companies obtained 1.03 billion USD in total revenue, with some 385 million USD coming from exports during the period. The management board said the city was speeding up site clearance, administrative reforms and infrastructure and human resource development to attract further investment. Can Tho hosts eight IZs: Tra Noc 1, Tra Noc 2, Hung Phu 1 and Hung Phu 2A, as well as Hung Phu 2B, Thot Not, O Mon and Bac O Mon. The IZs are located along the Hau river, and the projects here employ more than 30,700 workers.